In our 1983 VW Bug, Libby and I would travel outside the city of Quito on the weekends to take in our surroundings. One of the locations that we visited was the market in Otavalo. This village is famous for its market, where they sell handcrafted goods such as woven rugs, alpaca clothing and intricate jewellery. 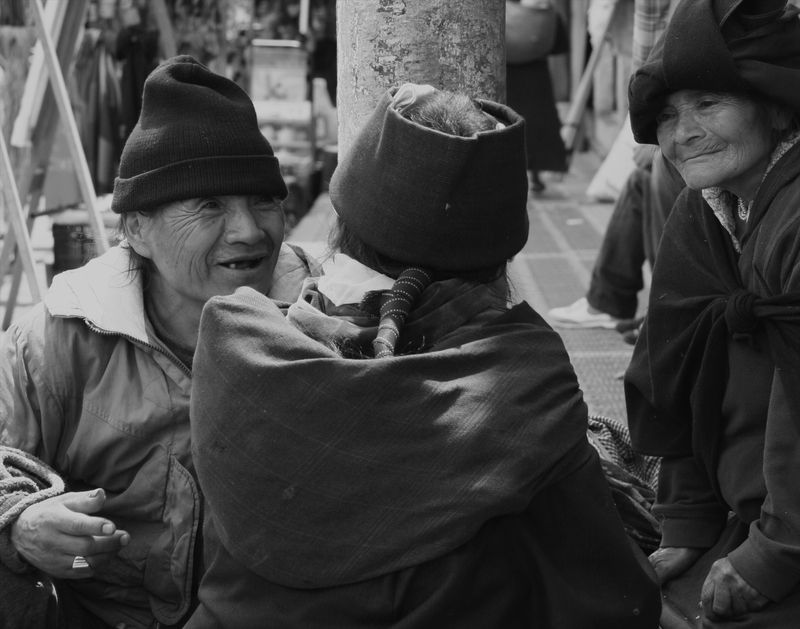 During my meandering around the streets of the Otavalo market, I came across these older folks enjoying a laugh together. With their permission, I captured a few moments in time.